Read my whole review of Polanski’s perversely engrossing new film, out now in a lamentably barebones DVD edition from MPI, at Slant Magazine. 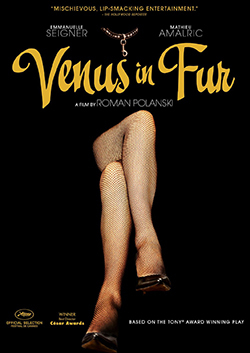 This entry was posted in film, movie reviews and tagged david ives, emmanuelle seigner, leopold von sacher-masoch, Mathieu Amalric, roman polanski, slant magazine, venus in furs. Bookmark the permalink.